Provođenjem zakona u Pakistanu se bavi nekoliko federalnih i provincijskih policijskih agencija. Regionalne agencije (četiri provnicijske plus ona glavnog grada Islamabada) imaju ovlasti samo unutar granica svoje provincije. Federalnih agencija ima više, a među njima valja istaći Saveznu istražnu agenciju, Nacionalnu prometnu policiju, Pakistanske rendžere i Granični korpus. Osim uobičajenih policijskih poslova (istraga, privođenja itd) policajci izvršavaju i naredbe sudova (uručenja poziva i slično). 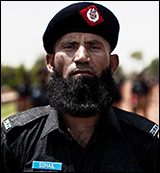 Law enforcement in Pakistan is carried out by several federal and provincial police agencies. 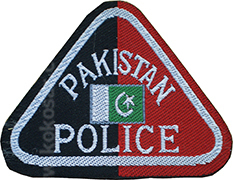 The four provinces and the Islamabad Capital Territory each have a civilian police force with jurisdiction extending only to the relevant province or territory. 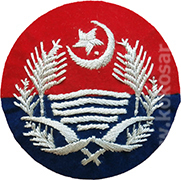 At the federal level, there are a number of civilian agencies with nationwide jurisdictions (like Federal Investigation Agency,National Highwaya and Motroway Police, and several paramilitary forces including the Pakistan Rangers and the Frontier Corps). 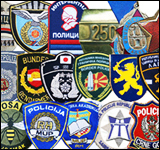 Each regional police service has a jurisdiction extending only to the relevant province or territory. 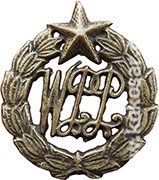 Apart from investigating crime scenes, criminal acts, suspected unlawful activities, and detention of suspected criminals pending judicial action, the law enforcement agencies (primarily police) also perform duties that include the service and enforcement of warrants, writs, and other orders of the courts.